For our vacation cabin rental pricing, please contact us. We look forward to hearing from you. GET YOUR Best sleep ever on our top quality mattresses covered with 600-thread-count sheets that feel like satin against your skin. Guests can gather in the main Lozeau (Lozo) Lodge to read or watch TELEVISION, play games, or chat by the glass-fronted wood fireplace. Here, guests have TELEPHONE, INTERNET and use of the infrared sauna. Handicap-Accessible Accomodations: Available at no extra charge. Inquire at booking. Some Tenting Allowed. 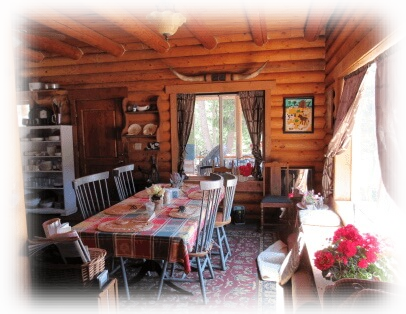 For our vacation cabin rental pricing, please contact us by phone or email. We look forward to hearing from you. Guests can gather in the main Lozeau Lodge to read or watch TELEVISION, play games, or chat by the glass-fronted wood fireplace. Here, guests have TELEPHONE, INTERNET and use of the infrared sauna.